Is The Industry Overreacting to AT&T’s Carnival Commercial? This ad has really rankled a large segment of the amusement industry. Both the Outdoor Amusement Business Association and the International Association of Amusement Parks and Attractions have issued formal letters to AT&T protesting the ad's depiction of amusement ride safety and demanding the discontinuance of this commercial. At least one carnival owner has posted a video protesting the commercial. The tenor of these, and other, objections essentially boils down to the fact that the commercial portrays a carnival ride operator in ways that do not accurately represent safety in our industry. On the other hand, there are those in the industry who argue that expressed outrage is misplaced. These folks argue that the commercial is obviously satirical, just like the similar ads targeting other professions, and that we, as an industry, should be able to take the joke. Matt Heller and Josh Liebman even devoted an entire episode of their AttractionPros podcast to a detailed discussion of this issue after which, SPOILER ALERT, they both concluded that the commercial should not be pulled from the airwaves. So who is right? Is the industry’s outrage over this commercial justified or are we being too sensitive about an obvious attempt at advertising humor? I’ve really been thinking this over and, while I don’t think we should necessarily demand that the ad be withdrawn entirely, I do think that this ad is qualitatively different than the ads that came before it in a way that AT&T should consider as it rolls out additional spots in this ad campaign. At the outset, I think it is worth noting what is actually GOOD about this ad. The overall message, that “just OK is not OK" when it comes to ride safety should be viewed as a positive. In fact, by total coincidence, a few weeks before this ad debuted, I actually used the AT&T car mechanic “just OK is not OK” commercial to kick off a class I was teaching at the iROC Ride Camp. The point of the class was that ride operators certified under the International Ride Operator Certification program cannot be “just OK.” And, to that extent, I think the message of the AT&T carnival commercial – and its predecessors – is spot on. But the AT&T carnival commercial is different because rather than contrasting a substandard example against a positive societal stereotype, the commercial feeds into a negative stereotype and furthers it. I’ve written, years ago, about the stereotype that our industry is full of “carnies” that are “toothless, uneducated, and frequently intoxicated ‘rednecks’ who have no concern for the safety of our guests.” This stereotype is particularly strong when it comes to mobile operators. Notwithstanding the fact that the mobile operators I know are uniformly dedicated to guest safety just as much as their fixed-site counterparts, the public stereotype is that these rides are not as safe and their operators are not as attentive. This commercial thus establishes its message not by contrasting reality with a ridiculous example of the opposite, but by capitalizing on an existing negative stereotype that our industry has worked hard, for decades, to overcome. The message is not, “most doctors are of a very high caliber and thus you would never accept this example of a substandard doctor.” Instead, it is, “this is what carnival ride operators are and you should demand better.” That is what distinguishes the AT&T carnival commercial from its predecessors and that is why, to an extent, the industry has a legitimate gripe about the message this commercial sends. Even still, I have to agree with Matt and Josh (and others) that I don’t think the ad should be discontinued. There are a couple of reasons for this. First, I tend to think that the distinction I’m making here, while true, is one that is missed by the vast majority of the viewing public. Most people will see this commercial as just another “Just OK is not OK” commercial without any positive or negative consideration of stereotype being reinforced. Some may even see the positive message discussed above – that ride safety is serious business and no one would ever accept this kind of apathy toward it. Second, I think that too much public protestation over this ad risks the industry appearing defensive about ride safety when we have no basis for such defensiveness. As we all know, the industry is extraordinarily safe largely because of, not in spite of, the operators we employ. The vast majority of our operators are responsible, well-trained, attentive, and truly care about our guest’s experience. The numbers prove it. The more we vociferously demand the removal of this ad, the more we risk unintentionally sending a message that it might have hit too close to home. This is not to say that IAAPA or OABA should not have protested – they absolutely should have come to the defense of their members. That is precisely why trade associations exist. I just think continued protestations, beyond what is already out there, might actually undermine our message - a message we have every right to be extremely proud of. Well, it has now been just over two years since my last entry on The Legal Roller Coaster. Much has happened since then, and I’ll tell you about a lot of it very soon, but suffice it to say that it has never been my intention that The Legal Roller Coaster would be shelved permanently. A brief (or not so brief, depending on your perspective) hiatus was, however, required. Nonetheless, I’m pleased to say that I’m back and that there will be some changes (for the better) coming soon. But in the meantime, a new long-awaited decision has been issued that makes now the best time in two years to return to the blogosphere. 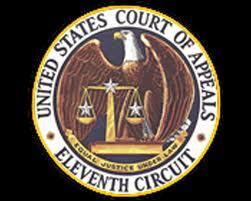 In mid-August, the 11th Circuit Court of Appeals issued its ruling in A.L. v. Walt Disney Parks and Resorts US, Inc.. A copy of the decision can be found here in case you are interested in reading it. I wrote about this case before on a number of occasions (and I encourage you to read at least this piece before you read the rest of this one as it contains a much more fulsome explanation of the lower court ruling than I’m going to provide here), and I’ve been waiting for quite some time for the Court of Appeals’ ruling. And now, having read it, I regret that I’m not sure its much help to the industry. Why? Let’s get into it. A Safer Ride? (Pt. 3) - Is State Amusement Regulation The Problem? The amusement season is quickly winding down as daily operation (for seasonal parks) comes to a close and schools go back into session. Like schools, legislatures around the country will also be heading into session shortly and, given the tragic and unfortunate incidents in the amusement industry recently, it is likely that at least some of these – maybe even at the federal level – will consider new regulation of the industry. As I’ve detailed before in my last two pieces, the siren song of federal regulation is almost impossible to ignore in the wake of an amusement ride-related death or serious injury. But the only real reason to look seriously at replacing the current system with a new federal oversight program is if the states' regulatory programs are not working. So, for my final piece in this series I thought it would make sense to look at the evidence, or lack thereof, that state regulation is failing. A Safer Ride? (Pt. 2) - What Would Federal Amusement Ride Regulation Cost & Do Regulators Even Want It? The question of federal oversight of amusement ride safety is one that comes up every summer in the wake of an unfortunate, sometimes tragic, incident in the industry. But while many in politics and the media are quick to speak out in favor of federal ride safety oversight, this rhetoric is typically devoid of any detail. What would a federal ride safety program look like? What would it cost? And does the agency that would be charged with administering it share the view that it would be a good idea? In my last post, I made my case for why I just do not see the federal government being any better (and perhaps it would be worse) than the states when it comes to ride safety oversight. But even setting that aside, it is important to think about the details here and consider whether this program might be not enough bang and too much buck. A Safer Ride? (Pt. 1): Is The Federal Government A Better Regulator Than The States? To state the obvious (and to understate the matter significantly), this has been an extremely bad week in the amusement industry. The week began with news of the death of 10-year old Caleb Schwab at Schlitterbahn waterpark in Kansas City, Kansas. Just days later, news broke of an accident at a carnival in Tennessee involving a Ferris wheel and resulting in injury and hospitalization to three guests. And the week ended with news that a three-year old was thrown from a roller coaster at Idlewild amusement park in Pennsylvania. As the public has learned more about these incidents, and especially the reportedly gruesome nature of Caleb’s death, the outcry for answers has been immediate and unmistakable. The media, in particular, has repeatedly focused on the so-called “patchwork” of state regulations in the amusement industry and, more specifically, the fact that there is no federal regulatory body overseeing ride safety in the United States. None of these criticisms are particularly new – indeed they arise whenever a tragedy strikes our industry. But this time, faced with the unbearably tragic death of a young boy at a family-friendly waterpark, these criticisms seem to have gained more traction in the public consciousness. It is simply impossible to look at a picture of Caleb Schwab and to not feel the greatest empathy for his family and to not want to make changes to ensure that no other family has to ever go through this again. 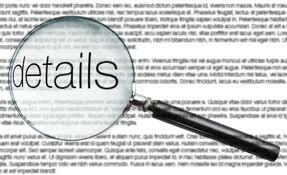 It is easy to argue, as Jake Tapper recently did on CNN, that the system failed Caleb, and that the answer is federal oversight. But, even after this week, one of the worst I can remember in the nearly 25 years I’ve been involved in the industry, I still maintain that federal ride safety regulation is not the answer. And I think it’s time, after all these years writing this blog, that I explain exactly why I feel that way. As I’ve done with other important issues in the industry, I’m going to look at this in three parts: In this piece, I’m going to look at the question of whether the federal government is somehow inherently “better” than the states at regulating. The next piece will look at what a potential federal ride safety program might actually look like and, critically, how much it might cost U.S. taxpayers. The third will look at the question of whether there is any actual evidence that state regulation is not working. The media has made their case. It’s time for me to make mine. Interactivity doesn’t stop with great-looking, immersive technology. There is a still a need for pure physical interaction. “Pure physical interaction.” As a fan of amusements, that phrase puts a grin on my face and starts the adrenaline pumping. As a former operator, that phrase equals “repeat business” and additional revenue - something that the article emphasized. But as a lawyer, that phrase made me pause for a minute and think about whether the rising popularity of interactivity could change the liability calculus for owners and operators of these attractions. I thought that question deserved a closer look. Disney's Autism Policy Passes ADA Muster - But What Does That Mean For The Rest Of The Industry? Does the ADA require immediate, on-demand boarding for guests with cognitive disabilities such as autism? It is among the questions most frequently asked of me and one for which there has been no judicial guidance … until now. Late last week, the United States District Court for the Middle District of Florida issued a first-of-its-kind ruling on the issue in a case called A.L. v. Walt Disney Parks and Resorts U.S., Inc. In the decision, Judge Anne Conway ruled in Disney’s favor essentially finding that immediate, on-demand boarding was not “necessary,” as that term is used in the ADA, and thus that Disney was not obligated to provide it to autistic guests. While there may be a couple of small areas in the court’s analysis that some could quibble with, on the whole the decision is well-reasoned, reasonable, and practical. But what does it mean in the broader context? What affect, if any, will this case have on future cases in the industry? Those are the questions that I think warrant a little discussion – and thus have drawn me back to blogging after an extended absence (which I hope you can all forgive). 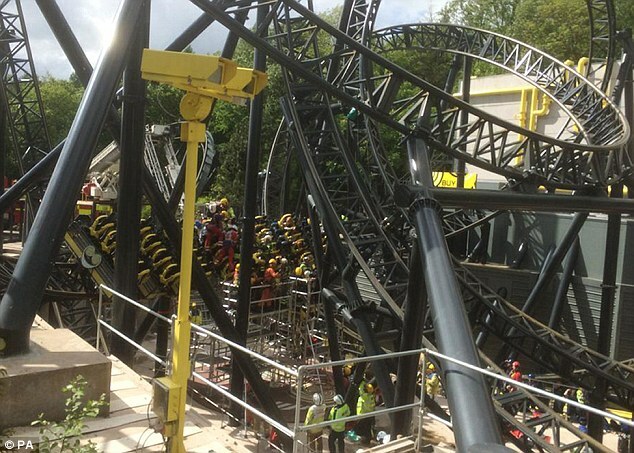 News in the amusement industry for the last week has been unfortunately dominated by the tragic events that occurred at Alton Towers on the Smiler roller-coaster on June 2. As the days have progressed, it has become clear that the Smiler accident, in which a loaded train collided with an empty train on the track, was extremely serious, resulting in severe injuries to three guests, one of whom, seventeen year old Leah Washington, had to have her left leg amputated above the knee. For several days now, I’ve read the media coverage of this event and have purposefully decided not to write about it. Why? Because anything I might say about the accident itself would be pure speculation, something I strive to avoid. But today, something about this case caught my eye that I could not ignore. Today, according to media reports in the UK, the owner of Alton Towers, Merlin Entertainment, did something that most American operators (and their lawyers) would scarcely consider: it took full responsibility for the injuries to its guests and promised to compensate each one. I think, given the circumstances, that this was exactly the right move and one to which other operators should pay close attention. IAAPA’s First Virtual Advocacy Day Is Here! And We Need Your Support! This week, IAAPA’s North American Government Relations Subcomittee will be on Capitol Hill for its annual Advocacy Day (the name is actually something of a misnomer, since it actually takes place over two days). On Tuesday and Wednesday, March 24-25, twenty-three members of the committee (including me) as well as invited guests from other IAAPA committees and members of the industry, will be meeting with elected officials in the House and Senate, their staffs, the Commissioner of the Consumer Product Safety Commission, and other government officials to communicate the industry’s interests to those that shape federal policy. In all, we have scheduled thirty-six legislative meetings, including meetings with seventeen members of Congress, in only two days. This year, IAAPA’s Government Relations Department, as well as the North American Government Relations Subcommittee, is asking for your help to make Advocacy Day 2015 an even bigger success than it usually is. In addition to our physical presence on the Hill this week, we are asking you to take part in the first-ever Virtual Advocacy Day! What’s that, you ask? Well, while we are meeting face-to-face with members of Congress and other policy-makers in Washington, we want you to take to social media with the hashtag “#IAAPAVAD” to amplify the messages that Advocacy Day attendees are bringing to DC. Tweet your Senators! Tweet your Representatives! Tweet the CPSC, the State Department, the Transportation Department, the FAA! Show them that you care about the industry and the issues that affect it. So, what are the issues that we will be addressing over the next few days and how can you help? Well, keep reading to find out more about our priority issues and how you can contact your representatives and policy makers.